Induction Cooktops: The Future Of Cooking? Can your stove boil water in 90 seconds? If you have an induction cooktop, you can. 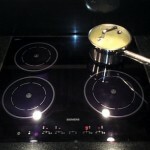 Induction cooktops have become increasingly popular over the past few years. They simmer sauces more gently, sear meat at hotter temperatures, and can go from boiling to calm in an instant. Induction cooktops have been around longer than you might think. The first induction stove was patented more than 100 years ago. 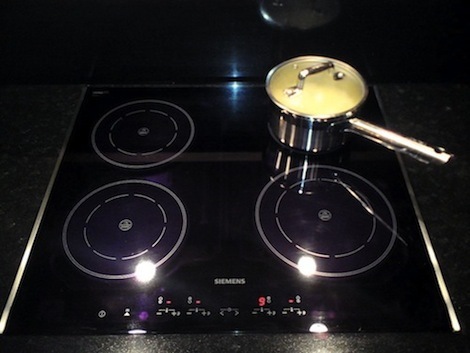 Thanks to the magnets in the cooktop, heat can generate faster and cook quicker. There are a number of benefits to these speedy stoves. Not only do they heat up faster, but they also cook significantly quicker too. They also allow for more control when cooking – you can turn the heat to very precise temperatures rather than simply increasing or decreasing a flame. And, perhaps best of all, induction cooktops are safer than traditional stoves. Rather than heating up the cooktop, the induction stove heats the pot itself – meaning you can put your hand on the stove without getting burned. Why haven’t induction cooktops caught on before? Price is the biggest factor. An induction cooktop costs about $2,000 – a price tag that increases if you’re looking for the best of the best. These ranges also only work with magnetic cookware. Any pots or pans made of copper, aluminum, or non-magnetic stainless steel won’t work on these stoves. Induction ovens are already extremely popular in Asia and Europe. America has yet to catch on as quickly, but it seems things may be changing. Home appliance manufacturers are beginning to develop cheaper, more affordable induction cooktops – meaning more homeowners will be willing to make the switch. No matter what kind of cooktop you own, Allen & Sons can help keep your stove and other household appliances running in their best working condition. Home Appliance Shipments Up In U.S.